David Mamet, in his offering, “The Spanish Prisoner” has wonderfully performed what is probably the longest con ever perpetrated on an audience – where the viewers themselves, not the film’s character, were the intended mark all along. One of America’s best contemporary playwrights has outdone himself with a film that has more hidden turns and false exits than any funhouse maze. 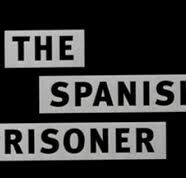 It is safe to say that “The Spanish Prisoner” was the Best Screenplay of 1998, and definitely a contender for Best Film. In speaking with several people who had seen the film and reading numerous reviews of many critics, the broad range of reactions we received stretched from justifiable triumph to disappointment in the predictability of the plot – and everything else in between. It was almost with exception that we ever came across someone who had realized the scam had kept going even after the credits had rolled. For even though most marks felt a sense of justice when the bad guys didn’t get away with their devious scheme, it was those who felt that the ending of the film was completely predictable that seemed to be the main target of Mamet’s scam. Although they may have felt the climax of the film was completely unplausible, they failed to question why that was the case. They figured out the primary con which involved “the process” and then proceeded to pat themselves on the back for getting it before everyone else did. Here’s where the mastery of Mamet’s con revealed itself because the point of every good scam is to let the mark’s guard down and make them feel that they are ahead of the game. In general, the American film audience has become complacent with the blatant and literal nature of mainstream movies. We are spoonfed so many plots bombarded with unnecessary thematic repetition that we are never given the opportunity to think for ourselves and arrive at the intended conclusion on our own. It is this very same technique that Mamet used as his vehicle to mislead us in his charade. He wanted to guide us through the clichéd nature of the film, all the while hinting at the fact that it’s too good to be true…and we all know how that saying goes. To say that the little indicators were simply holes in the plot is to say that Mamet is mediocre screenwriter. You can say what you want about the man, but those who are familiar with his other works know he is anything but that. He may frustrate you, outrage you, or even discourage you but he’ll never insult your intelligence. The following breakdown of the film reveals how the ending itself was a hustle. Much like Robert Shaw’s character in the film “The Sting”, the audience is never meant to realize the con. We’re never shown the grand finale because Mamet leaves it up to us to figure out – but like Doyle Lonnegan we walk away thinking that what we just saw was all that there was to see. While on the ferry and literally running for his life from Jimmy Dell (Steve Martin), Joe Ross (Campbell Scott) desperately asks for the assistance of an Asian tourist (Takeo Matsushita), hoping that the expression of fear in his face can communicate what their different languages cannot. The Asian man calmly turns to Joe and in perfect English tells him that he needs to have Jimmy Dell divulge the location of ‘the process’. The man places a small microphone transmitter on Joe and then walks away. Joe confronts Jimmy and gets him to reveal the location of the desired product. Unfortunately, the ferry’s bull-horn loudly blasts at that very same moment which prohibits us, and thereby the transmitter, from fully making out Jimmy’s confession. This very important fact gets lost in the flurry of action that soon follows. Jimmy Dell and another accomplice Susan Ricci (Rebecca Pidgeon) are captured; both Japanese tourists turn out to really be United States Marshals; and Joe is vindicated in the murder of his colleague George Lang (Ricky Jay) by the New York Police Department. The final shot of the film shows Joe Ross, all alone, walking away with this entire incident behind him. Previous scenes in the film that offer evidence to this observation are cited later on in “The Process”; but even with all this, it doesn’t end there. Every good con always leaves you guessing, wondering if you really got the entire game. With all this information one is still left wondering about other aspects of the film. The question arises of the murder of George Lang (Ricky Jay). We see that Joe’s knife is plunged into George’s chest, but before that moment George was always conveniently out of Joe’s reach, thereby making the victim think that he was on his own. With George’s murder, Joe then had no one else to turn to except Susan. Later, the film leads us to believe that Joe is being tracked down for George’s murder but we never really hear of it again. Another question concerns the woman with her child at the airport. She constantly kept bringing about the fact that her child’s fingerprints would be all over the book – so much so that it seems as if she’s beating Joe over the head with the answer to all his problems. The only reason for this would be to get Joe running for the book and to tell them where the last piece of the puzzle was located. The need to find the book would be a good enough reason for the entire charade with the Marshals. Whether George and the irritated mother were in on the scam is what propels Mamet’s screenplay from good to exceptional. It leaves one with the nagging thought that maybe seeing isn’t believing. On a final note, what David Mamet has done with “The Spanish Prisoner” in playing this three-card monte with the audience is the core objective of every film, because basically every movie is just a con. We cry or laugh or are disturbed by situations that aren’t real. We are presented with a scenario or circumstance that never took place. Everything we see and hear is already arranged and we only get to see what the director wants us to see. We feel for people who are lying to us with false tears or well-rehearsed lines. It’s only those of us who find certain plots implausible or characters unbelievable that aren’t drawn into caring about what we’re seeing – thereby not caring for the film. Take for example a good action movie; we’re taken on a roller coaster ride. It’s when the ride is over that we question certain flaws in the plot. Like the way we overlook the fact that guns in motion pictures never run out of ammunition or that hair and make-up remain in place after surviving a car crash, etc. So now that you’ve been brought up to speed with it all, take another look at this great work realizing that a con wants you to see, not think…and consider yourself lucky that Mamet simply wanted to take your ten bucks. The card that Joe Ross signed at ‘the club’ was in fact a membership card. It was not the same note that was presented to Joe at the police station. The minimum amount that can be deposited into a Swiss Bank account is $250,000 USD. The con could only progress if the suspicions raised by Jimmy Dell with respect to Joe’s boss attempting to leave him out of the profits could be justified by Mr. Klein’s (Ben Gazzara) actions as it pertained to presenting Joe with his lawyers. To have this happen right after Jimmy Dell plants the seed in Joe and lends credence to the fact that Mr. Klein was himself in on the con game. The lack of police tape around the crime scenes that were visited by Joe and the police detectives. The police station itself had a non-descriptive feel to it. Nothing stood out but there were aspects about it which could easily be overlooked in all the tension of the moment. The iron-gate elevator in which Joe was brought down in seems to be something that should never belong in a police station because it shows complete lax in security. The characterless office where Joe was shuffled into to met with Mr. Klein after being questioned seemed generic but menacing with posters strewn about the walls. The room where Joe was questioned was right behind the glass partition of the room where Susan was being interrogated doesn’t seem to coincide with the general rule that these rooms are primarily for the police and witnesses to view suspects – not for suspects to view other suspects. The police detectives arrived at the George Lang’s apartment with sirens blaring yet calmly walk to the crime scene, thereby giving Joe a chance to run. There was no accompanying back-up and uniformed officers are almost always the first people on the scene, like the two squad cars that roared by when Joe slipped into the subway station. On the way to the airport, the police were on the lookout for a suspect. We assume that it was Joe. However, we never see the picture of the person that the police are looking for. This is reiterated at the airport when the two tourists speak of the newspaper story they are reading because we never see what it is they were reading about. The sheer improbability that US Marshals would be on the very bus and ferry where all the pertinent action is a dead give away. It was all too coincidental – as if it was choreographed to fit into a nice package. Finally, when Susan was arrested and being led away she asked Joe if there was anything he could do for her situation. He looked at her and basically told her that she was getting what she deserved. The smile that crept onto her lips was the equivalent to the subtle scratch of the nose in “The Sting”. It’s as if she was saying that she’d let him have this moment of victory – after all, he should have something for himself since they took his formula.